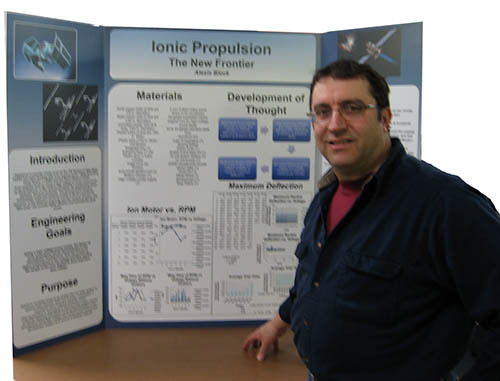 Our economy trifold display is direct printed on 3/16" foamcore board. We then score it so it folds in on either side to become 24x36" for easy shipping. Economy tri-folds take an extra day to produce. 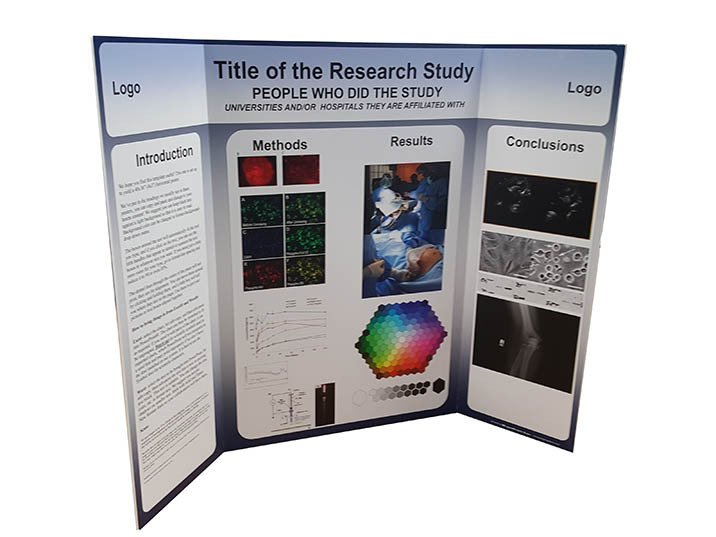 Use our tri-fold 36x48" template, and enter your information. Standard tri-folds are laminated with either matte or gloss plastic for extra durability. We then score it so it folds in on either side to become 24x36" for easy shipping. Your poster presentation will arrive safely packaged between two sheets of cardboard. Tri-folds take an extra day to produce. Stand up your tri-fold display, and swing out the arms. Voila! You'll have a very attractive, self standing conference presentation. Pricing: Gloss or matte laminated $167 plus shipping. When ordering, select a tri-fold in the drop down menu. Standard Tri-folds are only available in 36x48" size. If you need something larger and self standing, give us a call on 603-536-2900 and we'll work things out.